As part of our Frequent Flyer series, we post follow up stories from previously spotlighted travelers. Dan is a visual researcher working in film and television who considers himself a slow traveler (he’s been on the road for over 18 months now). In his previous post, Dan shared about his time exploring Sierra Leone, though the extensive list of countries he’s visited range from Tanzania, Malaysia, The States, Jordan, Indonesia, and everything in between. 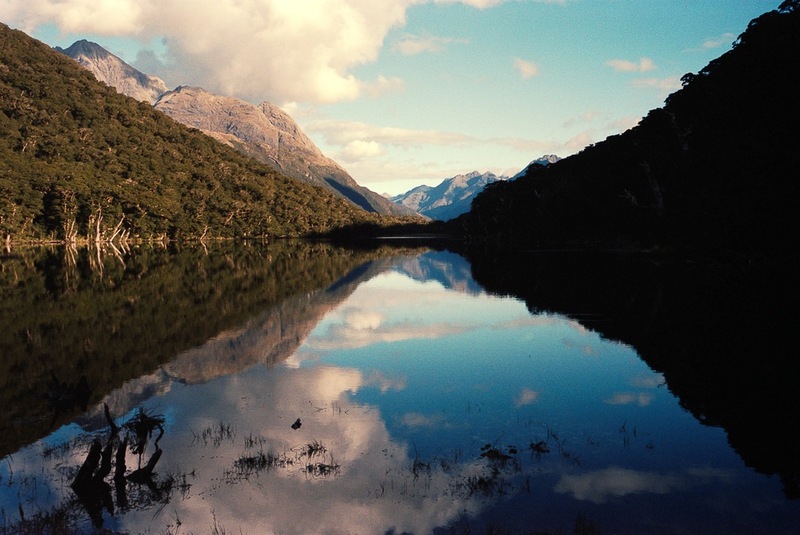 Today he shares about his experiences being a tourist in his home country of New Zealand and the importance of appreciating nature’s endless beauty. Great to have you back on SP Dan! What have you been up to since you were last featured? I’ve been in London for a few weeks now getting the post production sorted out on a few of the passion projects I filmed while I was in Joshua Tree and Wanaka. In your previous interview, you mentioned you are originally from New Zealand. Was this trip more of a homecoming trip to visit family and friends or did you intend to explore deeper within your home country? No homecoming - I treated this visit like a tourist would so I moved down to Wanaka, a little lake side town near Queenstown in the South Island and went from there. Wanaka is a more local, less touristy destination than Queenstown - which is famous for being the adventure capital of the world - and I remember it being pretty cool when I was last there around 2003. It’s obviously grown in size and popularity since then, but it remains one of those towns, much like Sayulita in Mexico, where there’s a bit of magic around it. There was a reason I wanted to treat my return to NZ like a tourist would. When you tell people you are from New Zealand they instantly tell you one of three things - that they want to go there because they heard it’s so beautiful, they’ve been and that it’s so beautiful or they have family living there who constantly tell them it’s so beautiful. I hadn’t really explored my home country and it started to get a little embarrassing when people speak about your country and you haven’t even explored it. I think that’s an issue with a lot of people from around the world - they want to travel somewhere other than their own backyard. What was your route? Which regions did you visit and how did you navigate between them? 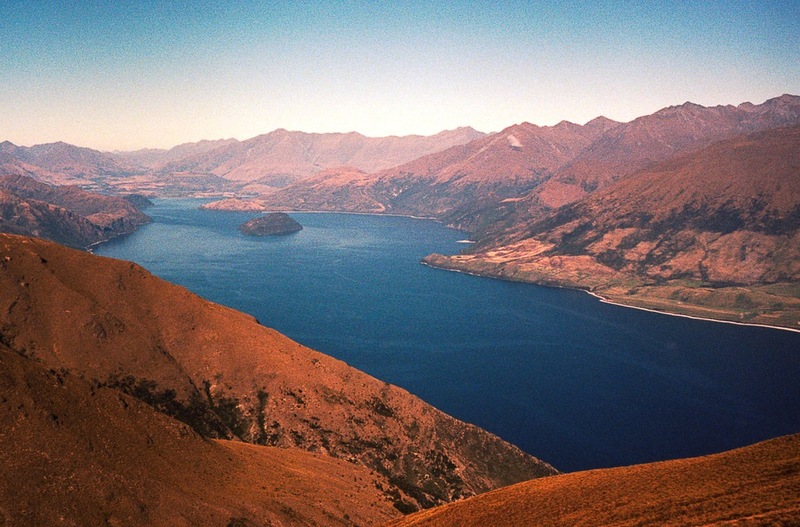 I based myself in Wanaka renting a little one bedroom flat and car for 3 months. Wanaka is a stunning town close to a lot of the areas that I wanted to explore - think real Lord of the Rings type landscapes. 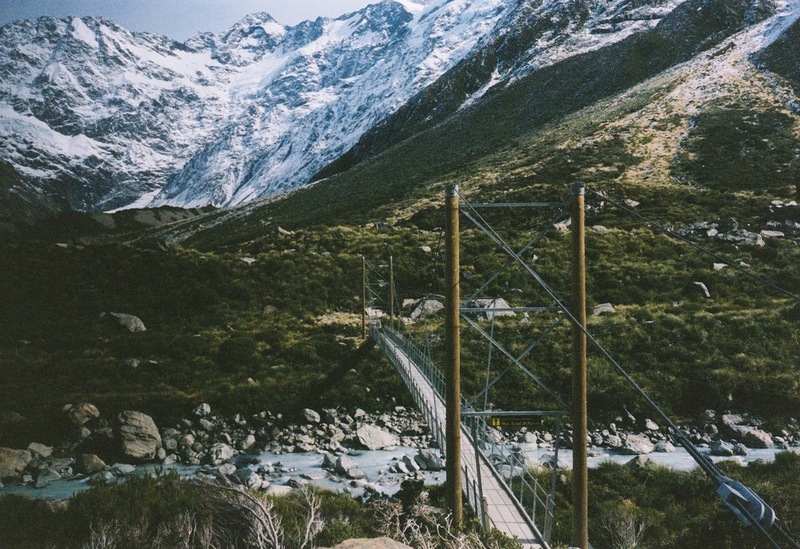 I had a friend who did all the 9 great walks of NZ so he gave me a lot of guidance on what best to do in the time I was there, so I would book one and go from there. Almost all of the photos you captured were of the landscapes. Was there any one in particular that stood out most to you? How did being out in nature for an extended period of time impact you? I found it really hard showing the scale of the landscapes - they’re all enormous but I couldn’t figure out how to capture the size on film - I would have loved to have someone in the photo to show the scale. I love being in nature, I’m getting to my limit now being in London because I don’t think it’s natural living in big cities. I always want to go further and further into nature and push myself more and more. 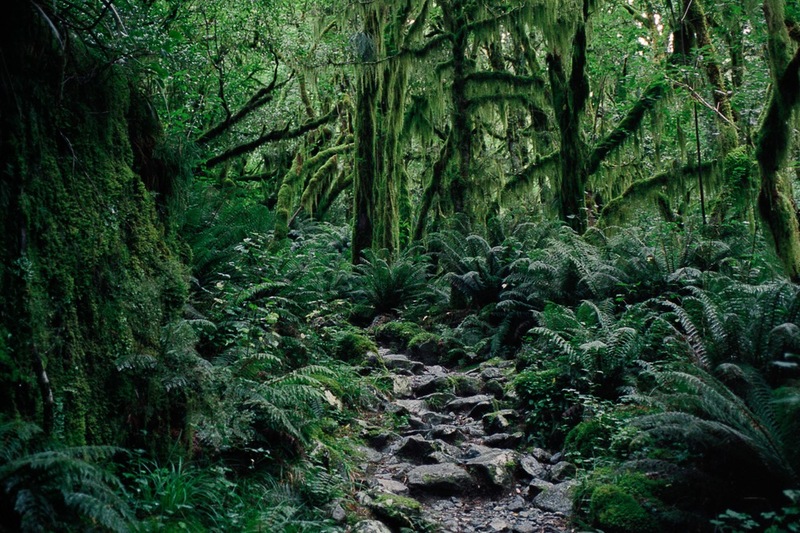 I’d love to do a month long hike somewhere - that’d be hard to pack for though. Maybe I could do one on horseback? What was your experience hiking while there? Which tracks/trails would you recommend? I had an incredible time exploring these hikes. I didn’t do nearly enough as much as I should due to my work commitments, but I fully recommend doing any of the Great Walks. 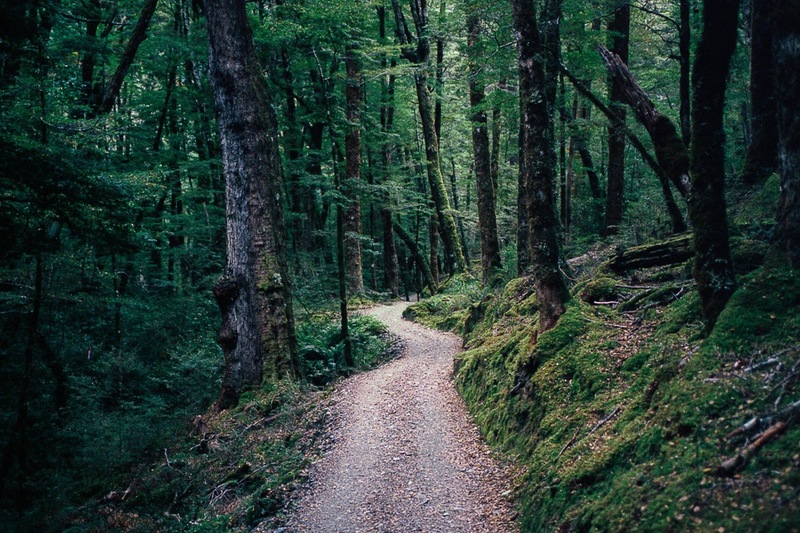 I think there are around 9 of them in New Zealand and the ones I liked the most were the Milford Track - a 4 day hike through some of the prettiest scenery I’ve ever seen - and the Routeburn Track - a 2-3 day hike which is just as amazing. I’ve run out of adjectives to describe these places, but they take your breath away. 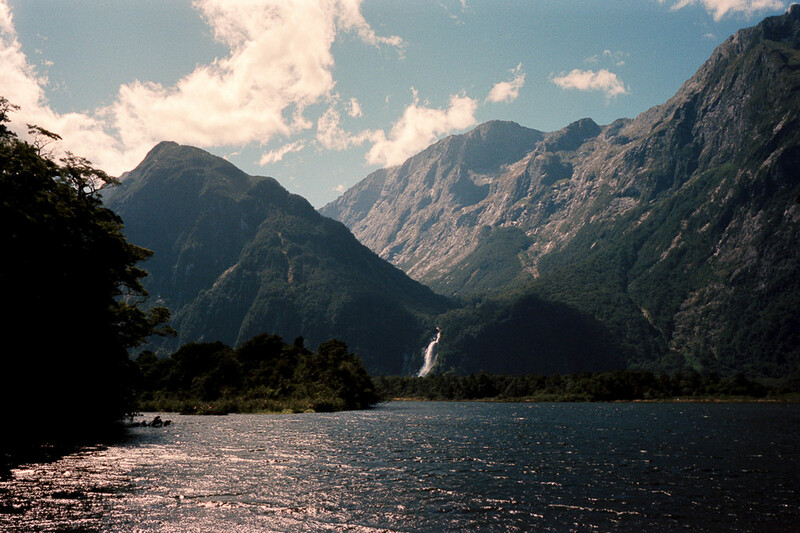 Hundreds of waterfalls, glaciers next to rainforests, neon blue lakes, moss covered jungles and stunning mountains. The landscape changes so quickly and so dramatically it’s hard to pick out any one thing. How easy you start to take for granted how beautiful the place you are in is. On day 3 of the Milford I got a little over seeing so many waterfalls everywhere. I had my head down walking and glanced up through the bearded forest and saw a waterfall in the crack of light. I just laughed. There’s just so many! What a ridiculous thing to feel, but it was true! You see so much stunning nature that you begin to get used to it since it becomes the norm. But I’m definitely missing it being in London now. What were some of your experiences? You can do a lot of wild camping – throughout almost all of NZ you can free camp - but on the Great Walks you stay in these huts run by the Department of Conservation and get taken care of by the DOC Rangers. They’re basic - bunk beds, stove, running water, fireplace, toilets and gas. Weather depends on where you are and how lucky you are - there’s 7 metres of annual rain in Milford Sound but the 4 day hike I was on it only rained on the 1st day - which is the shortest walk to the Shelter - so I was really lucky. Typically on these hikes you get up, have some breakfast, fresh fruit or a muesli bar then head off. 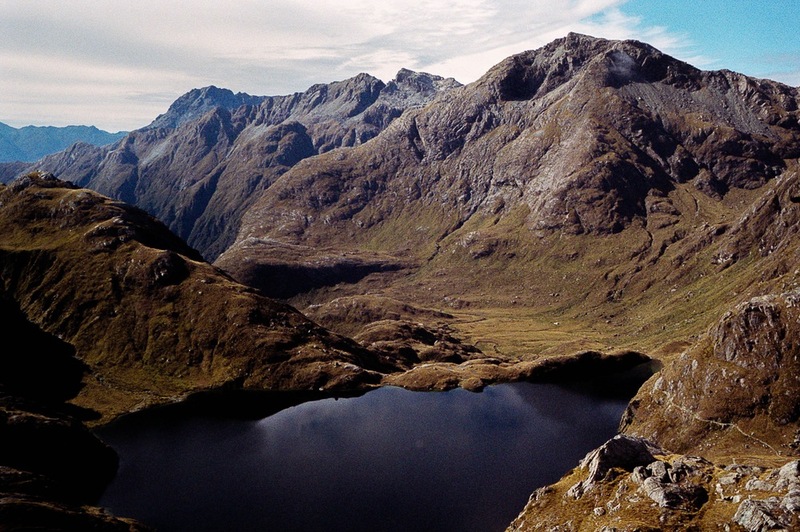 On the Milford Track you walk about 15km or so a day, lunch was salami cheese and crackers, again pretty basic. Dinner consisted of dehydrated meals that you add boiling water too. You also want to keep your pack pretty light when you are walking so there’s no real extravagant meals. Just lots of nuts, dried fruit to snack on during the day, and these light meals of dinner and breakfast. I hiked by myself, but there are usually 20-40 people staying in these huts every night so you make a few friends along the way; which is nice because it allows you to share the experience with like-minded people. What would you say was most challenging about your experience? The most gratifying? I travel alone and often to areas where I know no one, so the challenge is really just putting yourself out there and trying to meet good people and get involved with the scene - whatever scene that may be. It takes a while to break down these barriers, especially with the current state of phone addiction that is plaguing society. People are more closed off than ever. Luckily on these multi day hikes there’s no power to charge anything and no reception so people are a lot more hospitable than compared to say going out in a big city or something. I met some awesome people down there, especially in the last few weeks, so it was a shame I left when I did because I was just getting into a groove. The most gratifying thing? I guess it might be now being able to relate to people who tell me New Zealand is a beautiful country - because I now know. I’ve been there, done it, and have seen what it has to offer. 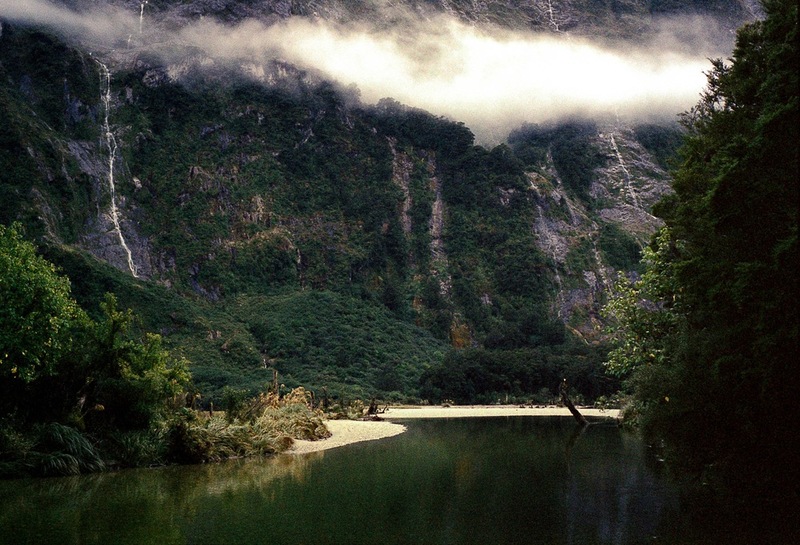 What do you know now that you wish you would have known prior to hiking tracks like the Milford track? Everything; what to eat, what to pack, what not to pack, how to pack. It’s all about keeping the pack light and taking only what you really, absolutely, need. It’s all part of the learning experience though and I love that part of travel where you learn to take out what you don’t really. If someone said to me they’re going on a 5 day hike I’d be totally comfortable packing for it now, whereas before I’d be second guessing everything I had in there and taking far too much. What recommendations can you share for future travelers interested in having a similar experience? The best thing to do, and I tell everyone this, is to rent a camper van for a month or more if you can, and just drive around free-camping everywhere. Go to the South Island - you really can’t go wrong there. If you are an outdoors person you absolutely have to go - it has everything to offer there. 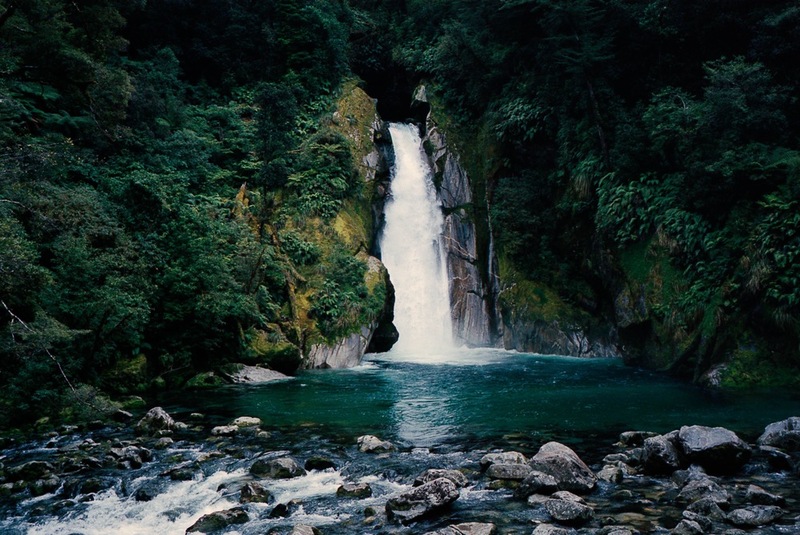 I loved the multi day hikes and the Milford Track was one of the most memorable experiences I’ve had hiking. 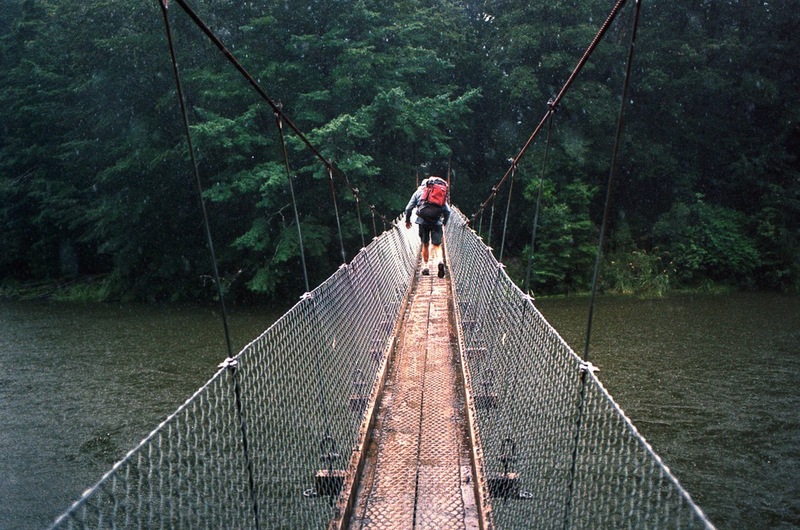 What advice do you have for individuals that would also like to travel to the region, but are intimidated or scared? There’s nothing scary about New Zealand, there’s no dangerous animals, nothing that can kill you. No snakes or alligators or anything. The only thing I can think of is the roads can be a little dangerous - just drive safely and drive on the left side of the road. Tourists seem to forget this, there has been some press lately about trying to educate tourist drivers about the road rules. I don’t know what the solution is, New Zealand drivers are pretty aggressive in general but just take care when you are out there. Keep to the speed limit and keep to the left! I haven’t really decided yet, but I’d like to go to Iceland so that’s on the top of my list. I keep seeing that place on Instagram so I’d love to check it out myself and see what it has to offer, and will try to drag some friends along this time. It’s nice to share the experience with other people - and being away from your friends for so long makes you appreciate the value of getting a few along for the ride. To see more of Dan's stunning travel photography, be sure to visit www.dansadgrove.com and follow him @Dan_sadgrove on Instagram.